Ever have one of those afternoons where you start browsing Facebook and then suddenly it's dinner time and you've no idea what happened? Well, researchers have now documented the phenomenon. 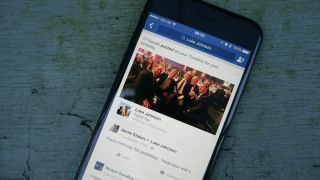 Psychologists at the University of Kent have showed that people using Facebook or surfing the web suffer impaired perception of time. Forty-four volunteers were shown 20 images each for varying amounts of time. Five of the pictures were associated with Facebook, five with more general internet associations and the other ten were neutral 'control' pictures. The participants were then asked to say whether the image they'd just seen had been visible for a long or short period of time. Their results indicate that people underestimate time passing when they're looking at internet-related images, and even more so when looking at Facebook-related images. "We found evidence that Internet and Facebook related stimuli can distort time perception due to attention and arousal related mechanisms," researchers Lazaros Gonidis and Dinkar Sharma wrote in a paper published in the Journal of Applied Social Psychology. "This highlights that Facebook related stimuli lead to an overestimation of time compared to Internet related stimuli, and both Facebook and Internet related stimuli were associated with better discriminability of time compared to matched neutral stimuli." The pair said they hoped the findings would have implications for future study into addictive behaviour.